Gyprock Freshtone Vinyl ceiling tiles are premium quality, Diamond White vinyl-faced plasterboard ceiling tiles that have a durable, easy to clean vinyl surface. They are designed to suit standard suspended grid ceiling systems. 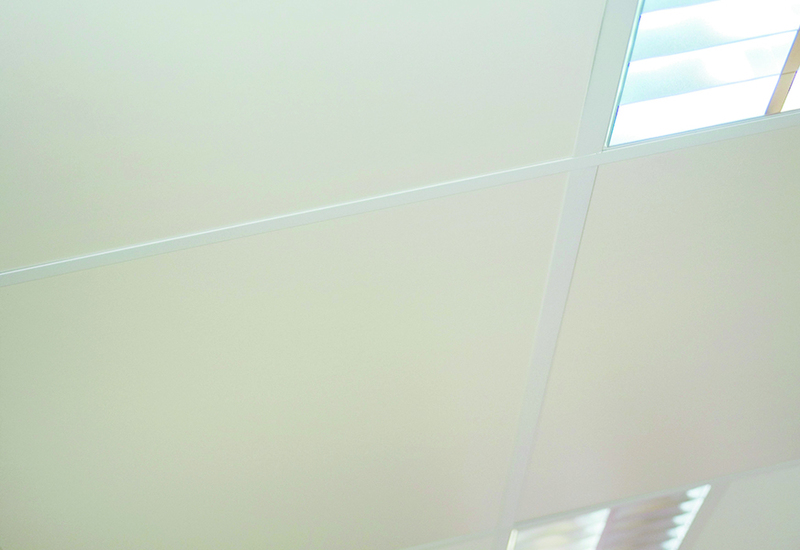 Freshtone Ceiling Tiles provide acoustic separation and can also be used in commercial wet areas. Gyprock Freshtone Ceiling Tiles are manufactured in Australia to Australian Standard AS2588 and the heavy-duty vinyl facing is a white colour. Gyprock Freshtone Vinyl are squared edged, 10mm thick and available as 1200mm x 600mm tiles to suit common exposed grid systems. The face of the panel is lightly textured and is suitable for a range of contemporary commercial environments.